Instruct is excited to be participating in the CORBEL 2nd Open Call for research projects. 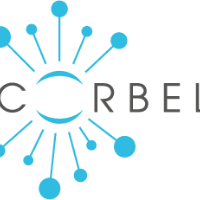 CORBEL is looking for innovative research projects are projects at the interface between different biomedical and life science fields requiring service provision from multiple research infrastructures. Are you working on a complex research project in need of multiple, different technologies? Would you benefit from access to state-of-the-art research infrastructures and services that are not available in your current research environment? Would integrated access to multiple research infrastructures take your research project to the next level? More than 20 facilities from 10 different research infrastructures across Biological and Medical Sciences have joined forces and combine their technologies and scientific expertise to support advanced research projects. In this call Instruct will be offering access to some of our cutting-edge services: Bioinformatic and computational structural biology tools and support through CSIC (Access Track 2) and NMR techniques, NMR labelling and spectroscopy through CERM/CIRMMP (Access Track 3). The call will be hosted using Instruct's bespoke access management software ARIA. For the full list of services available in this call from Instruct and other research infrastructures click here. The current round of submissions is open until 30th June 2018. For more information about the open call for projects click here. To submit a your proposals to the call click here.